Students express themselves musically each week. 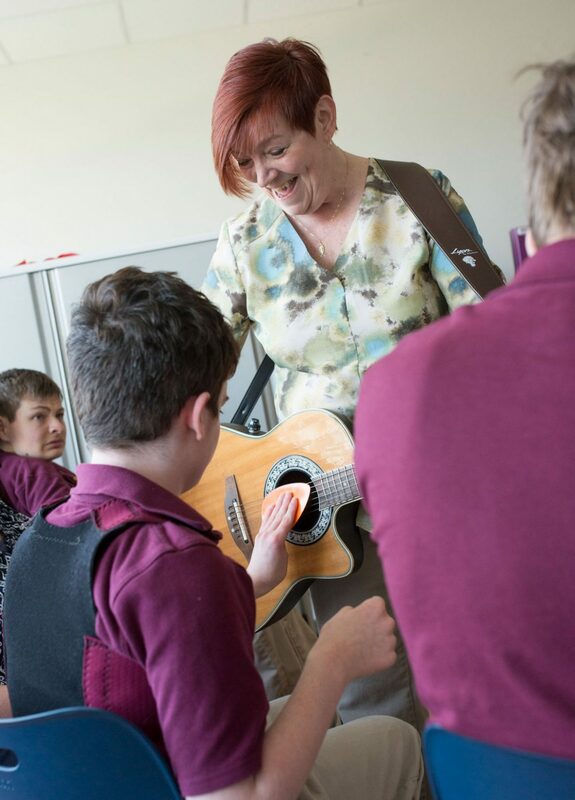 Mrs. Kaczmarek plays music with people in all three programs (Mini Mustangs, School-Age and TLC), traveling with her guitar and other instruments into each classroom or hosting music lovers in the auditorium. 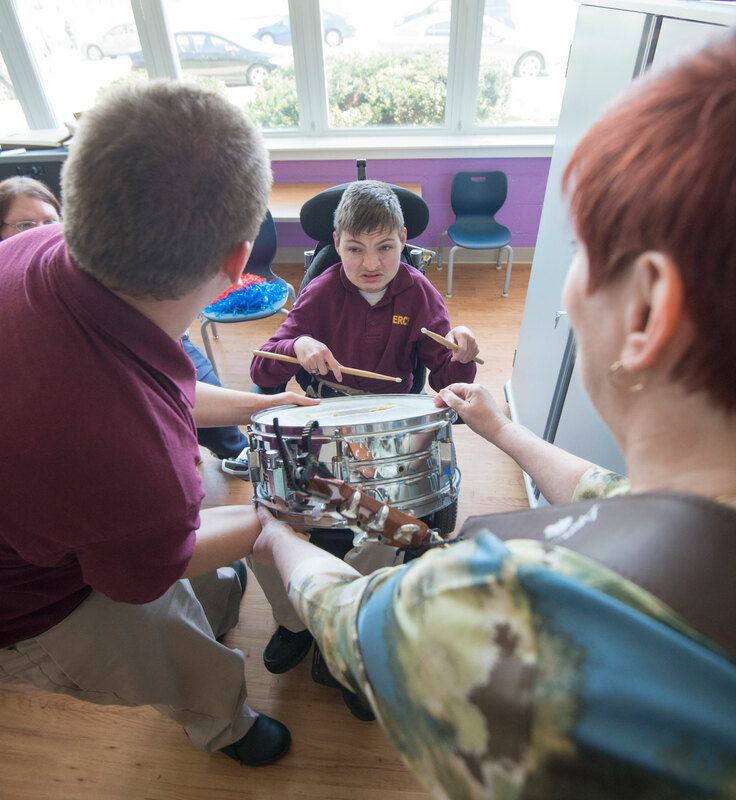 In addition, Miss June from Music Therapy Associates in Whitehall comes to play with all groups each Thursday. 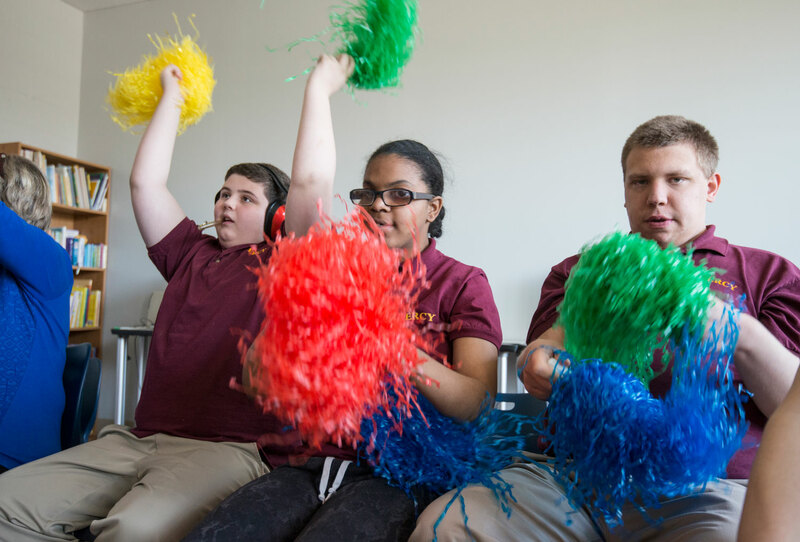 Participants sing and play different instruments and materials, all designed to foster a love of music as well as develop well-rounded skills. 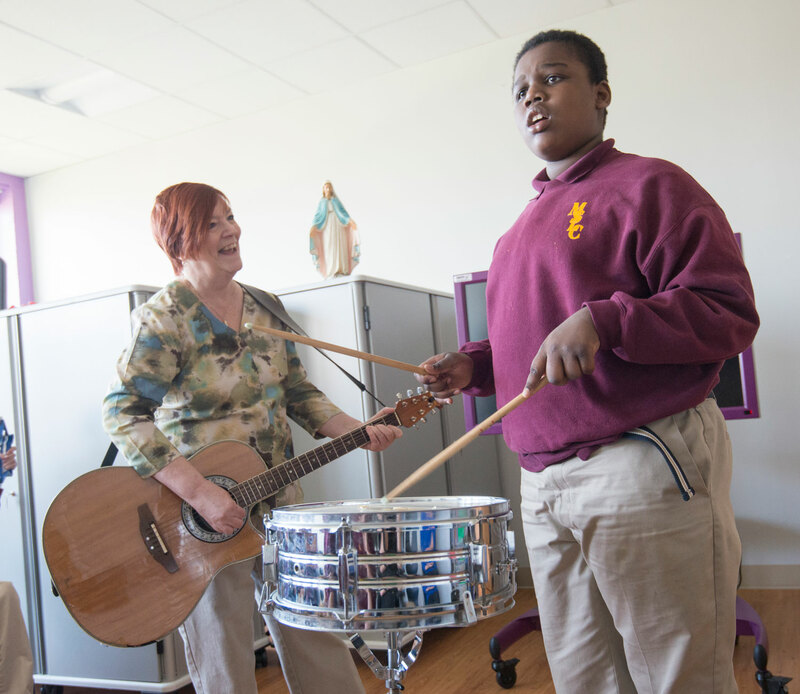 The Community Music School helps to bring Music Therapy Associates to Mercy, and we are grateful for the support we receive. 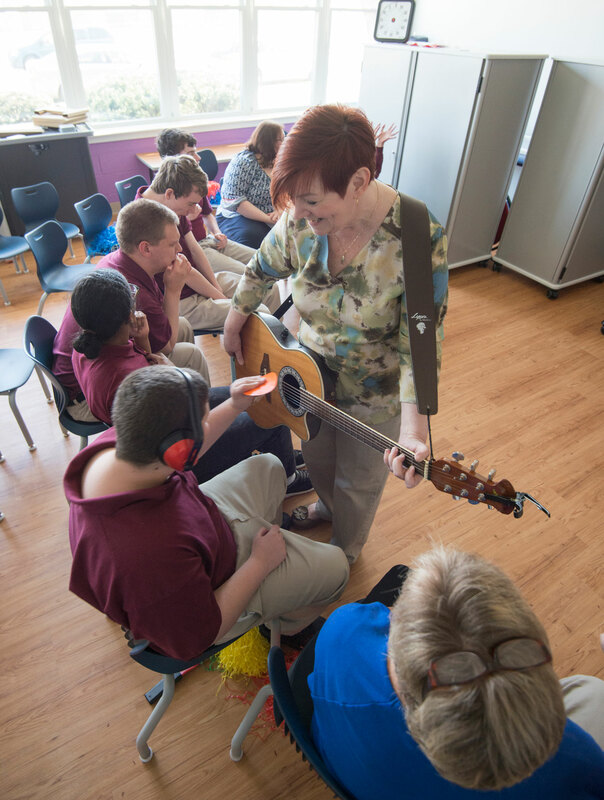 Individualized musical therapy sessions are also available for Mercy families; you can visit www.musictherapyassociates.com for more information.